On April 27th, the Massachusetts House, including Representative Aciero, rejected an opportunity to protect tax dollars from being spent on the 2024 Olympics.The Senate rejected a similar amendment. SPEND NO TAX DOLLARS ON OLYMPICS (S 3 — Amendment #63): Senate 22-17, rejected an amendment that would prohibit the spending of any state taxpayer money on the bidding for or hosting of the 2024 Olympics, with the exception of transportation-related projects like repair, maintenance, construction and operation of the state’s transportation system.YES: Sens. Flanagan, Tarr.NO: Sens. Barrett, Donnelly, Donoghue, Eldridge, L’Italien. The potential to see Westford/Littleton as an Olympic venue just became real. Do you want to see local tax dollars spent on the Olympics? The Boston 2024 Committee expects Nashoba Valley Ski Area to be a venue in its bid for the 2024 Summer Olympics. Just one problem: that fact is news to the operators of Nashoba Valley Ski Area. Last week, Boston Magazine published the full bid book submitted by Boston 2024 to the United States Olympic Committee as part of a Freedom of Information Act Request. 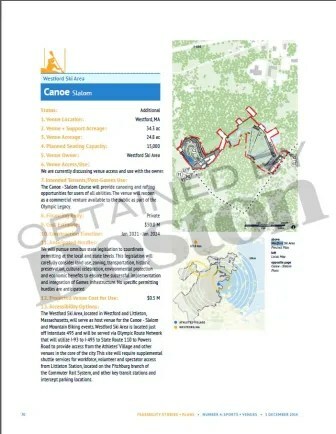 A smaller bid book released to the public by Boston 2024 does not fully reference the Westford Ski Area location, although the venue is alluded to in a map indicating the events. 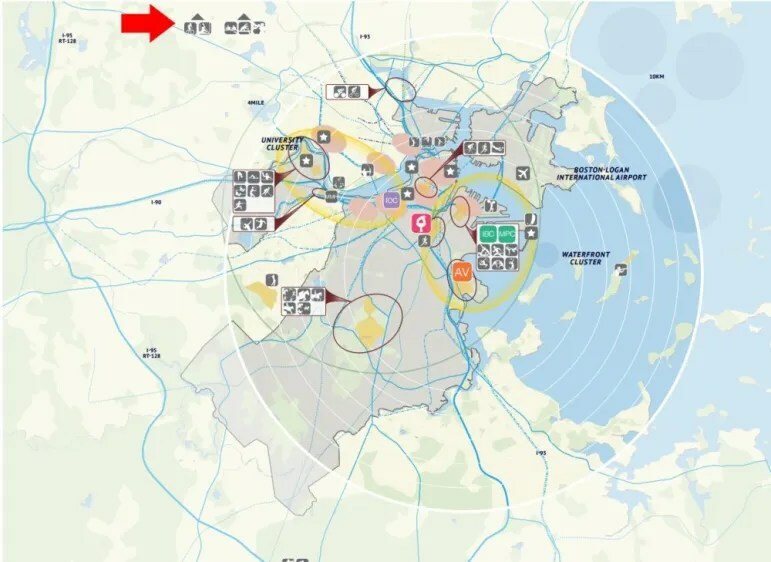 According to the documents obtained by Boston Magazine, the cycling event would take place at Nashoba Valley Ski Area’s property within Westford while the canoe event would take place at Nashoba Valley Ski Area’s tubing park in Littleton. Nashoba Valley Ski Area Owner Al Fletcher informed WestfordCAT News he was completely unaware his property was included in the Boston 2024 proposal. 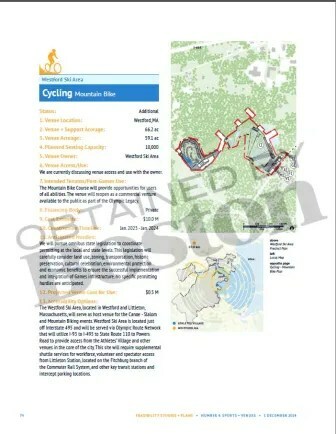 The planned capacity of the cycling event would be 10,000 and the capacity of the canoe event would be 15,000 according to the full bid document. According to a 2011 Northern Middlesex Council of Governments study, Powers Road saw 6,100 vehicles on an average day. In a statement from Boston 2024 Chief Operating Officer Erin Murphy, the full bid book was meant only to be a first step, with a follow up phase expected to be released on June 30.